If the Google Chrome, Mozilla Firefox, Internet Explorer and Edge opens the Best Value annoying pop-up ads like shown below then most probably that your computer is infected with an adware. This adware changes the Internet Explorer, Chrome, Firefox and Microsoft Edge settings to open lots of annoying ads on all pages, including web-sites where previously you advertisements have never seen. These advertisements can be varied: pop-up windows, boxes, in-text ads, different sized banners and so on. What is more, the ad supported software, that displays the Best Value advertising links, may cause your Internet connection to be slow or freeze your browser so that the interface is not updated anymore. The adware usually affects only the Google Chrome, Mozilla Firefox, Internet Explorer and Edge by changing the browser’s settings or installing a malicious extensions (addons). Moreover, possible situations, when any other web-browsers will be affected too. The ad supported software will perform a scan of the PC for browser shortcuts and modify them without your permission. When it infects the internet browser shortcuts, it will add the argument such as ‘http://site.address’ into Target property. So, each time you start the web-browser, you will see an unwanted ads site. What is more, the ad supported software may open ads depend on a web page that you are visiting. That is, it is clear that this adware, without your permission, steals your private information such as: your ip address, what is a web page you are viewing now, what you are looking for on the Internet, which links you are clicking, and much, much more. The ad supported software may monetize its functionality by collecting data from your browsing sessions and selling it to third party companies. This puts your personal information at a security risk. We recommend to get rid of the adware, which generates lots of unwanted Best Value ads, as soon as you found this problem, as it can direct you to web-resources which may load other malicious software on your system. The simple answer is right here on this page. We have put together simplicity and efficiency. It will allow you easily to clean your system of adware. Moreover, you can choose manual or automatic removal method. If you are familiar with the personal computer then use manual removal, otherwise use the free anti-malware tool designed specifically to remove adware that causes unwanted Best Value ads. Of course, you can combine both methods. Read this manual carefully, bookmark or print it, because you may need to close your browser or reboot your PC system. The best way to begin the computer cleanup is to uninstall unknown and suspicious applications. Using the Windows Control Panel you can do this quickly and easily. This step, in spite of its simplicity, should not be ignored, for one simple reason, many free applications at its installation additionally set various unneeded software that most often generate unwanted advertising banners and redirect your browser to Best Value web site. So, remove the unneeded programs may cleanup your browser from popups, hijackers and so on. You will see a list of all installed programs. Scroll through the all list, and delete suspicious and unknown applications. To quickly find the latest installed applications, we recommend sort programs by date. Once installed, the adware may add an argument similar “http://site.address” into the Target property of the desktop shortcut for the Internet Explorer, Chrome, Firefox and Microsoft Edge. Due to this, every time you start the browser, it will display an annoying site ads site. Right click on the browser’s shortcut, click Properties option. On the Shortcut tab, locate the Target field. Click inside, you will see a vertical line – arrow pointer, move it (using -> arrow key on your keyboard) to the right as possible. You will see a text that begins with “http://”. Remove it or everything after .exe. An example, for Google Chrome you should remove everything after chrome.exe. Click OK to save changes. You need to clean all browser’s shortcuts. So, repeat this step for the Internet Explorer, Chrome, Firefox and Microsoft Edge. Like other modern browsers, the Chrome has the ability to reset the settings to their default values and thus remove the redirect to Best Value unwanted ads which is caused by the adware. Start the Chrome. Click on the button in the form of three horizontal stripes ( ). It will appear the main menu. Click on the option named “Settings”. Another way to open the Chrome’s settings – type chrome://settings in the web-browser adress bar and press Enter. The internet browser will show the settings screen. Scroll down to the bottom of the page and click on the “Show advanced settings” link. Now scroll down until the “Reset settings” section is visible, as shown below and click on the “Reset settings” button. The Chrome will open the confirmation dialog box. You need to confirm your action. Press on the “Reset” button. The program will start the process of cleaning and when it is finished, the web-browser settings including the ‘block pop-ups’ option back to the values that have been when the Chrome was first installed on your computer. If the Firefox settings have been changed by the ad supported software, then resetting it to the default state can help you to remove the redirect onto Best Value ads. To remove the Best Value advertisements you need to reset the Internet Explorer’s settings to the state, they were when the Windows OS was first installed on your PC. Launch the Internet Explorer. Open the Tools menu (click ‘gear’ icon ). It opens the drop-down menu on the right part of the internet browser, then click the “Internet Options”. In the “Internet Options” dialog screen, you need to click on the “Advanced” tab, then press the “Reset” button. The IE will display the “Reset Internet Explorer settings” dialog box. Click on the “Delete personal settings” check box to select it. Next press the “Reset” button. Once the task is done, click “Close” button, then close the IE. Restart your computer for the changes to take effect. This step will help you to back your browser’s settings to default state and disable ad-supported browser’s extensions. Remove Best Value ads manually is difficult and often the ad supported software is not completely removed. Therefore, we recommend you to use the MalwareBytes Anti-malware Free that are completely clean your computer. Moreover, the free program will help you to remove malware, internet browser hijacker and toolbars that your PC may be infected too. Close all programs and windows on your system. Open a directory in which you saved it. Double-click on the icon that named mbam-setup. 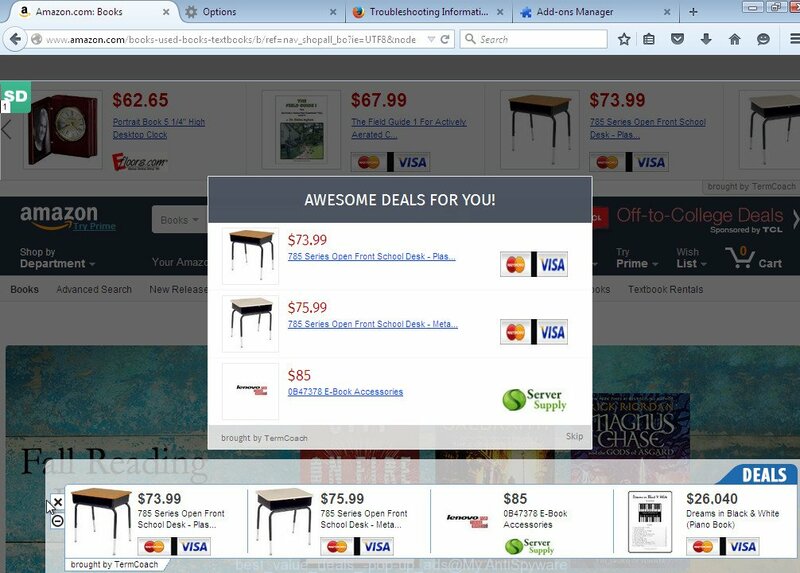 Once installation is complete, click on the “Scan Now” button to begin scanning your system for the adware which generates tons of annoying Best Value ads within your web-browser screen. This procedure can take some time, so please be patient. To increase your security and protect your personal computer against new annoying ads and malicious pages, you need to use program that blocks access to dangerous advertisements and sites. Moreover, the software can block the show of intrusive advertising, which also leads to faster loading of pages and reduce the consumption of web traffic. 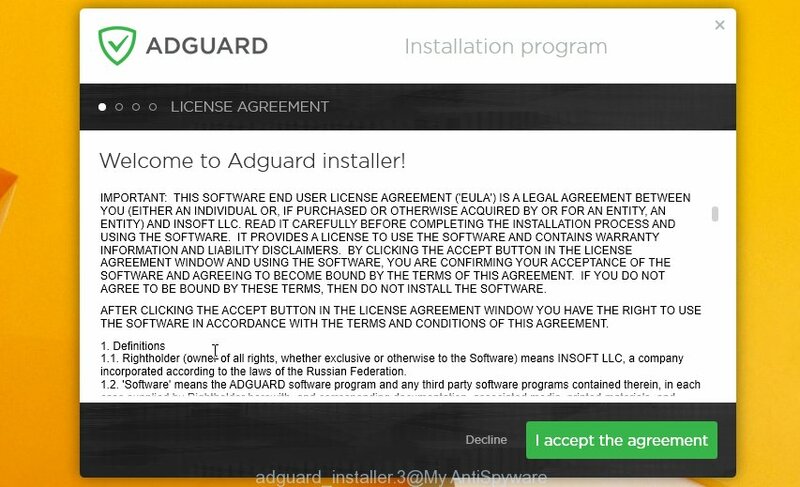 You can click “Skip” to close the installation application and use the default settings, or press “Get Started” button to see an quick tutorial that will help you get to know AdGuard better. In most cases, the default settings are enough and you do not need to change anything. 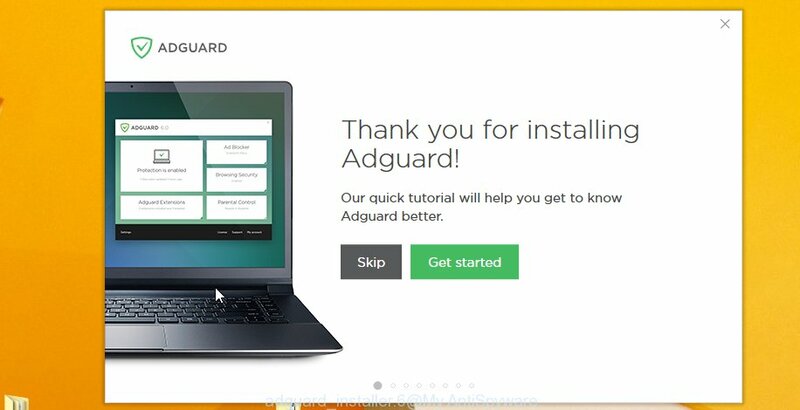 Each time, when you start your PC, AdGuard will run automatically and block pop-up ads such as Best Value ads, as well as other malicious or misleading web pages. For an overview of all the features of the program, or to change its settings you can simply double-click on the AdGuard icon, which is located on your Windows desktop. 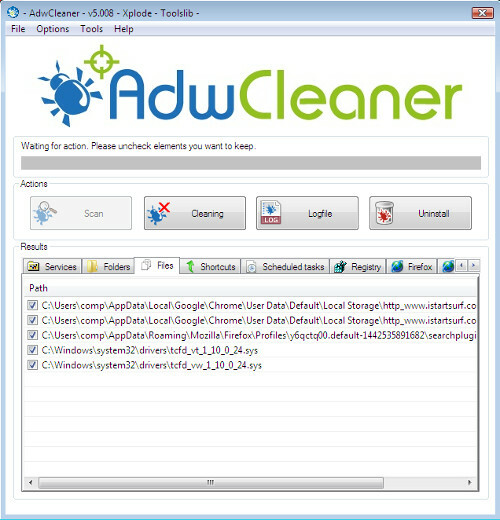 Remove Best Value ads and malicious extensions with AdwCleaner. If MalwareBytes Anti-malware cannot get rid of the annoying Best Value pop-up ads within the Chrome, Firefox, IE and MS Edge, then we suggests to use the AdwCleaner. AdwCleaner is a free removal tool for adware, browser hijackers, PUPs, toolbars. Also you can ask for help our Myantispyware team below. Press “Scan” button to perform a system scan for malicious extensions and the adware which displays the Best Value advertising links. Once AdwCleaner has finished, it will display a scan report as shown below. Review the report and then click “Cleaning” button. It will open a prompt. Click “OK”. 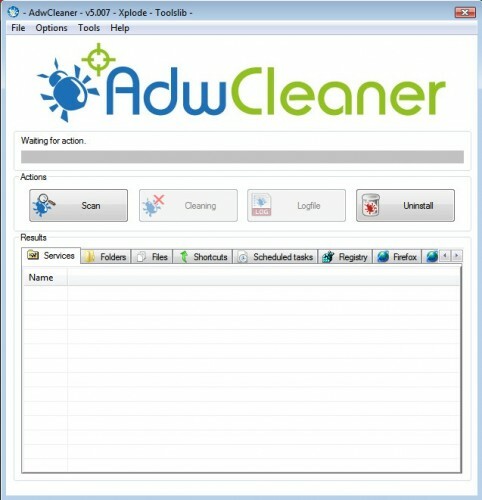 When the cleaning process is finished, AdwCleaner may ask you to reboot your computer. 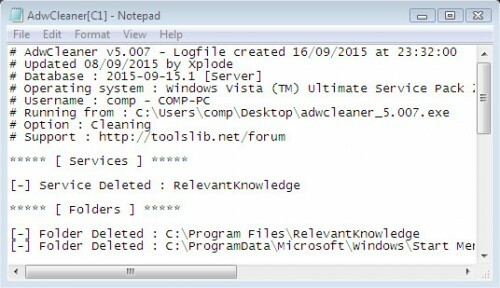 When your PC system is started, you will see an AdwCleaner log. If you are seeking a help for Best Value advertisements removal then follow these steps. Wait for one of our trained “Security Team” or Site Administrator to provide you with knowledgeable assistance tailored to your problem with the annoying Best Value ads. Thanks for sharing your experience with malicious pop up that freez broweses like chrome, safari and mozila. I think this very informative content. Keep it up.